There are a lot of dangerous stereotypes out there. "Asian students are always better at math." "Boys are always better at sports." And perhaps the most dangerous of all: "The current generation are all digital natives." It is easy to see the danger in the first two stereotypes. They tend to influence the way teachers, parents, peers and society in general classify, justify and treat whichever group is represented by the stereotype. I'm not sure enough people give enough thought to the third, equally dangerous, stereotype. 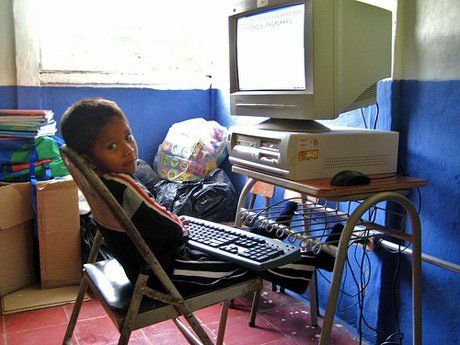 There are many people I come in contact with on a regular basis who assume that any child under the age of 18, were they given a computer, would automatically know how to use it. 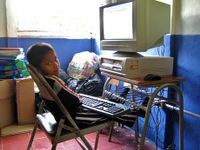 Just recently, an experiment was conducted by the nonprofit organization One Laptop Per Child. OLPC dropped Android tablets into a remote Ethiopian village and were thrilled to find that the children, without an adult teaching them, figured out how to use the tablet, and used the apps to learn the English alphabet and basic literacy skills. In addition, they figured out how to disable some of the controls placed on the devices. To add to the complexity, there are varying degrees of "using a computer." It's one thing to use a tablet computer and its apps to learn basic literacy skills; but learning to create, read critically, use online content responsibly and be a respectful digital citizen are not always skills that can be learned without the guidance of a teacher of some kind (notice I did not say "adult"). The minute that we place a device in the hands of a child, it does not make them a digital native. Indeed, the OLPC experiment debunked the popular myth that students of this generation are "digital natives" because they grew up with computers and technological devices. If I were to ask any of my students in grade three or above to define a digital citizen, they could easily do so. They know that they are digital citizens and what that means. To hear a fourth-grader explain what copyright means -- and then go on to explain why it even exists -- is a beautiful thing! By fifth grade, my students will hopefully be better at doing research because they will understand why it's not OK to copy, and they will have the skills to avoid doing it themselves. This is not, as the stereotype might suggest, because they were born that way. These students have been explicitly taught what it means to be a digital citizen through dialogue, reflection and practice. Rather than stereotyping our students as "digital natives," we should be calling them "digital citizens." Being a digital citizen is complex. These days, digital citizenship encompasses everything we do in every aspect of our lives. With students maintaining personal blogs, creating their own YouTube channels and engaging in online gaming, learning, creation and you-name-it communities, it is imperative that they know and understand their rights and responsibilities when it comes to content creation and consumption, as well as how they conduct themselves socially online. Sure, we can place a tablet in the hands of children who have never seen a package label or a sign, and they will learn on their own. But what happens when and if those children become connected to the larger, global online community? It is not guaranteed that they will be ready to navigate etiquette and intellectual property rights on their own. It is dangerous for us to assume that there is such a thing as a "digital native." If we replace the stereotype with the label "digital citizen," we will better reach our students and serve their needs, and we will stop making excuses and dangerous assumptions about what they do and don't know about using technology.